Is building a membership website something you want to tackle this year? Are you wondering which WordPress membership plugin to use? Choosing the right platform to build your membership site on makes all the difference when it comes to growing your business and making more money. In this article, we’ll share with you the best membership plugins for WordPress so you can make an informed decision that meets your needs. There are many ways to make money online, but creating a membership website is one of the most effective. A membership site lets you limit access to your site’s content, downloads, forums, support team, and more to registered users. Generate Steady Income: By requiring site visitors to pay for access to your membership site, you generate a consistent stream of recurring income that increases as more people register. Build a Bigger Email List: All small business owners look for ways to improve their email marketing strategies. And that all begins with building a bigger email list. Adding registered users to your email list helps keep your list full of active members that are more likely to respond to your email campaigns. Deliver More Value: The great thing about creating a membership site is that the content you limit access to is evergreen, meaning it will be valuable to people forever. It’s also packed into one convenient location for everyone to see. You can easily build on that content to create even more value for your users, which will encourage them to continue paying you for access. One Word: Automation: Though you can continue to build on the content that you offer registered users, you don’t have to. If you do all the work at the start, and create a robust membership site for your target audience to enjoy, you technically don’t ever have to do anything else. Unless you want to update content from time to time, or you offer support, the content on your membership does all the work for you. Lastly, building a membership website will help you establish yourself as an authority in your industry. Providing high-quality content and requiring payment to access it asserts the fact that you’re an expert and understand the value of what you know. Each type of membership site will require a specific set of features to function right. Luckily, most of the best WordPress membership plugins in the market today are capable of helping you create whatever type of membership site you want. That said, not all membership plugins are created equal. Below, we have some of the most important things to keep in mind when choosing a membership plugin for your WordPress site. Regardless of your skill set, you’ll want a plugin that’s easy to use. Some complex membership plugins offer tons of functionality that you’ll never need. Others will be super lightweight, offering only the basics needed to get a membership site up and running. Regardless of the type of membership site you want to build, make sure the platform you’re using is easy to set up. To make things easier on you, you can always use a more lightweight solution and invest in additional functionality when needed. As with all WordPress plugins, it’s important you make sure the membership plugin you choose is compatible with your existing WordPress plugins and theme. If it’s not, you could end up breaking your site and making things a lot harder on yourself. To avoid this, test your membership plugin on a local WordPress install first. If everything cooperates, you know it’s safe to use your solution on your live site. Though many membership plugins come with all the features you need right out of the box, you should check before investing in a solution. Many membership plugins have multiple plans that come with different sets of features (and price tags). Having an idea what type of membership site you want to create will help you decide whether the solution you’re considering has the features you need. Now, let’s take a look at the top WordPress membership plugins so you can decide which one is right for you. MemberPress is one of the easiest to use WordPress membership plugins. It comes with a robust set of features and integrates seamlessly with WordPress, so you can turn your website into a powerful membership site with ease. Easy Setup: To get started all you need to do is install the plugin, configure your payment gateways, and add some products. Then, start inviting people to join. Content Restriction: Restrict user access to pages, posts, custom post types, categories, tags, and much more. Maintain control over what members can see based on their membership status. Integrations: MemberPress integrates with popular email marketing services such as AWeber, MailChimp, Constant Contact, MadMimi, and GetResponse. You can also integrate with BuddyPress for creating a forum, and Amazon Web Services for organizing and growing your business. Payment Gateways: MemberPress supports both PayPal and Stripe payment gateways. The Pro and Plus plans also support Authorize.net. 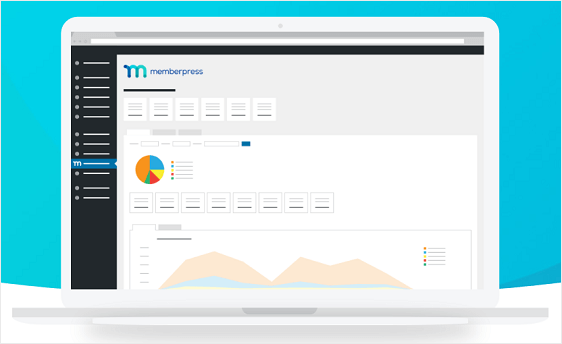 Using MemberPress, you’ll also enjoy features such as coupon generation, dynamic pricing, content dripping, and detailed analytics for monitoring the success of your membership site. Pricing for MemberPress starts at $129/year for a single site license. aMember Pro is another full-featured membership plugin designed to help you create any type of membership site you want. Though not a native WordPress membership plugin (which may cause some compatibility issues with your plugins and theme), this solution integrates with WordPress easily so you can create a fully functioning membership site. Multi-Level Memberships: Create unlimited membership levels, add as many products as you want, and set dynamic prices for products and subscriptions for users to pick from. Complete Member Management: Manage members in the easy to access admin panel. Add, edit, or delete customers and their subscriptions, view detailed reports, and run batch operations, saving yourself time and hassle. Integrated Modules: Modules in aMember Pro include an email newsletter opt-in, helpdesk, affiliate management, and shopping cart module, plus many more. Automated Processes: Save time by automating customer signups. Define the fields to ask, the product, and payment gateways to offer during the initial signup and let aMember Pro do the rest. With aMember Pro, you’ll also receive features such as dozens of payment gateways, content dripping, 6 translations (German, Spanish, Greek, Russian, French, and Chinese) for both the admin interface and front end of your site, and coupon codes. The cost of aMember Pro is a one-time payment of $149.36 and can be used on as many sites as you want. 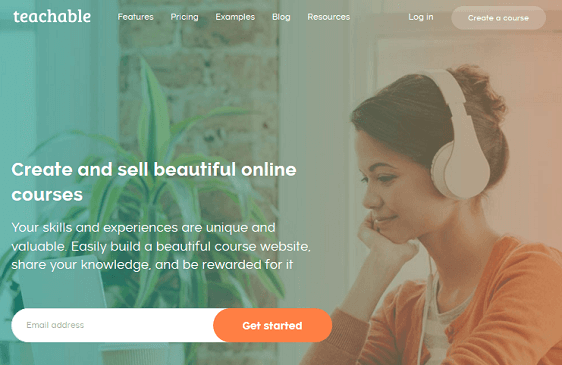 LearnDash is a WordPress membership plugin designed to help you create and sell online courses on your website. It’s an extremely easy to use solution that comes with lots of integrations, membership modules, and powerful administration capabilities. Advanced Course Builder: If selling online courses is the main objective of your membership site, LearnDash has you covered. Their drag & drop Course Builder allows you to create multi-layer courses with categories, lessons, topics, assignments, and quizzes for students to take. Easy Payment Structure: Not only can you create any pricing model you want, which includes one-time sales, subscriptions, and membership bundles, you can use any of 300+ available payment gateways. The goal here is to generate the most money and make the process easy on registered users. Comprehensive Member Management: You have complete control over your students as they progress through courses. Features related to administration include front-end profiles for users, detailed reporting, and automatic email notifications to trigger engagement. Advanced Technology: LearnDash supports the latest technology. Use this membership plugin on WordPress multi-site and using any WordPress theme, without the need to code. Plus, insert tons of different media types and know your courses will render on mobile devices. Additional features found in LearnDash include the ability to award learners with certificates and badges, drip content, create forums, and restrict content as you see fit. 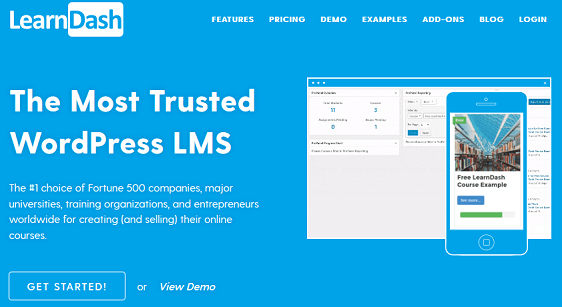 Pricing for LearnDash starts at $159/year for a single site license. Teachable is an all-in-one platform that lets you create and sell online courses with a few simple clicks. It comes with built-in member management, payment gateways, and even sales and marketing tools to help you grow your business fast. Membership Site Design: Create a stunning membership site with Teachable using their built-in customization tools. Add video, images, text, audio, and PDF files with ease. Plus, use the drag-and-drop builder to create new pages on Teachable’s domain, a newly created subdomain connecting to your site, or work with your existing WordPress website’s domain. Learning Tools: Create quizzes, surveys, and discussion forums for students. In addition, integrate with Zapier to connect to nearly every known support tool to stay organized and on track. Lastly, issue course completion certificates as people progress through your courses. Marketing Tools: With Teachable, you can incentivize people with coupons or promotions, start your own affiliate program, create fully customized sales landing pages, and define varying prices such as one-time, subscription, or bundled services. Easy Member Management: Take advantage of the comprehensive dashboard for monitoring members, access detailed analytics about signups, membership types, and revenue, and even provide others authority to create courses and manage students. With Teachable, you’ll also get features such as flexible drip content functionality, international payment gateways and multiple currency acceptance, and automated email marketing to boost engagement and segment users. Teachable starts at $29/month billed annually and can be used on the Teachable domain or your WordPress site. S2member is a WordPress membership plugin that comes packed full of features, leaving beginners with a steep learning curve when it comes to building a membership site. That said, once you get the hang of it, s2Member is a powerful membership plugin that makes selling physical and digital products a cinch. Registration Flexibility: s2Member can restrict registrations to paying customers, or allow open registrations so free subscribers can create accounts too. This way you can limit your content the way you want and for who you want on your membership site. Content Restriction: Restrict access to entire posts, pages, categories, tags, and more, or lock portions of content to entice people to join your membership site. Using s2Member’s simple shortcode conditionals, you can restrict content in creative ways that encourage signups and retain existing users. Email Marketing: Customize transactional emails such as signup confirmations, upgrade/downgrade actions, and checkout behavior. Add customer names for a personalized touch and include all transaction details for your customer’s records. Plus, integrate with email service providers MailChimp, AWeber, and GetResponse. Multiple Membership Levels: Create 4 membership levels with the free version of s2member, and an unlimited number using the pro version of this WordPress membership plugin. In addition, s2member offers site owners features like popular payment gateway integrations, brute force attack monitoring, bbPress and BuddyPress support, content dripping, and even coupon/gift card redemption functionality. S2member’s free framework is free of charge. If you want additional features, s2member is available for a one-time fee of $89 for a single site license. WooCommerce Memberships is an addon for the popular eCommerce platform WooCommerce that lets you limit the sale of products and services to registered users. Though it’s not an all-in-one solution, since you’ll have to use WooCommerce Subscriptions to accept recurring payments on your site, it does give you the ability create locked content and products. 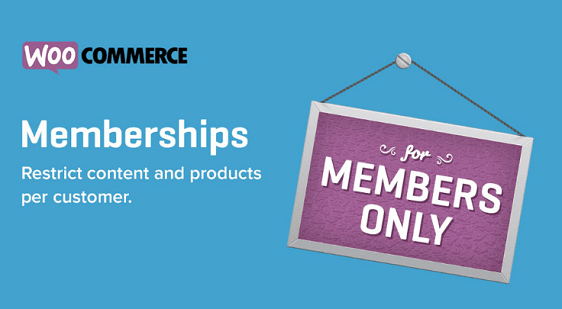 Membership Flexibility: Since memberships are created separately from your WooCommerce products, you have the flexibility to create memberships as standalone products, as part of a product purchase, or as a monthly or yearly subscription. You can even assign memberships manually as part of an invite-only members area. Content Dripping: Easily schedule when members see you content as part of a drip campaign. Restrict access to WordPress posts or pages so you can control how members use your site. You can even set up a free trial and then lock content when the trial is over and require payment to continue accessing it. Member Rewards: Those paying for access to your WooCommerce shop and content are often your most loyal customers. Extend free shipping and other special discounts to people that are a part of your membership site, while requiring non-members to meet certain criteria such as having a coupon or a minimum order amount. Easy Member Management: WooCommerce Memberships makes managing memberships easy on both site owners and their users. Members can view their accessible content, discover future access dates, and see all details regarding their membership status in the exclusive Members Area. With WooCommerce Memberships, you’ll also receive features like the ability to export member information into email marketing tools and communicate with members by sharing notes you’ve created. WooCommerce Memberships starts at $149/year for a single site license. Restrict Content Pro is a lightweight WordPress membership plugin that gives you all the features you need to create a full-featured membership site. Built-In Payment Integrations: Restrict Content Pro comes with popular payment gateways such as PayPal, Stripe, Braintree, 2Checkout, and Authorize.net. Easy to Use: Restrict Content Pro is built to work seamlessly with the WordPress interface. It works perfectly with all WordPress themes and plugins, and is intuitive to use so even beginners can figure it out quickly. Flexible Subscription Levels: Create any number of subscription levels and assign them a price, optional signup fee, frequency and period, and a user role that members will receive when they register for your membership site. Members can easily upgrade and downgrade, and new subscriptions will be prorated accordingly. Promotional Tools: Give your registered users exclusive discount codes to use on their subscriptions when they register for your membership site. Create an unlimited number of discounts, set them up as a flat rate discount or a percentage, assign expiration dates, and even limit the number if uses. Restrict Content Pro also comes with great features like a comprehensive customer dashboard, the ability to export member data to third-party tools, automated emails sent based on member behavior, and detailed reports about your earnings. Pricing for Restrict Content Pro starts at $99/year for a single site license and 12 free addons. Which WordPress Membership Plugin is the Best Choice For You? After comparing the top WordPress membership plugins in the market, we’ve found that MemberPress is the most comprehensive and easy to use solution. It offers plenty of payment gateway and email service integrations, lets you set up content dripping, and has detailed reporting so you can monitor your success. On the other hand, if you’re looking to create online courses for your membership site, LearnDash is probably the best option for you. It comes with hundreds of payment gateways, automated emails, and an exclusive drag & drop Course Builder that lets you easily create courses for your membership site that users can purchase. For something that’s more lightweight and flexible, Restrict Content Pro is a great solution. Create unlimited subscription levels, integrate with popular payment gateways, and export member data into other tools so you can grow your business bigger and faster. We hope this article helps you find the best WordPress membership plugin for your needs. Once you have setup your membership site, you will likely need to create a custom user registration and user login form. Our WPForms plugin can help with that. WPForms drag & drop form builder makes it easy to create custom user registration form in just a few minutes. Get started with WPForms today. After I created a membership website which usually ask the client to create his own user name and password, then what is the use of WPform? Currently we don’t offer any integration with membership websites such as memberpress.com. I apologize for the inconvenience! You can view the list of features and integrations we currently do offer on our features page.